Rubeus Hagrid, or more commonly known as just Hagrid, is one of the supporting characters in the Harry Potter series. The series is in a world where wizards, giants, witches, and magical creatures exist and live hidden from regular humans with the help of magic. Hagrid is one of the people who live in this wizarding world, as a half-giant wizard. He was the first human from the wizarding world that Harry Potter met, as he was the one Dumbledore tasked to locate him and help him settle in the wizarding world. Hagrid is the gamekeeper and the Keeper of the Keys and Grounds of the wizarding school Hogwarts. Despite being just a support character, Hagrid is one of the well-beloved characters of the series. He is actually in the top 15 of the most popular Harry Potter characters. That is also why he is an option when it comes to cosplaying Harry Potter characters. 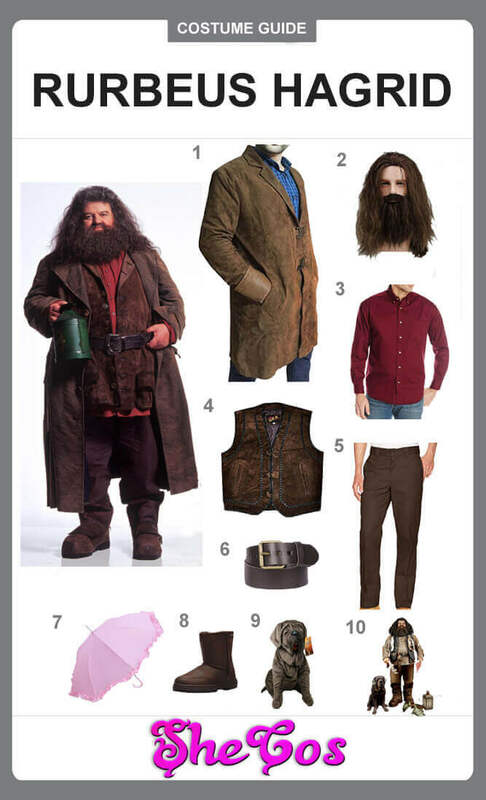 This article will be a Hagrid costume guide. Rubeus Hagrid is one of the well-loved characters in the Harry Potter series and one of the first wizards that Harry met. He is also the Keeper of the Keys and Grounds of the Hogwarts Wizarding School and one of Dumbledore’s most trusted followers. 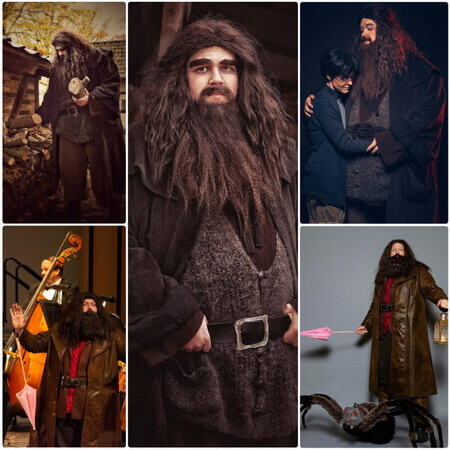 Dressing up as Hagrid is not that simple since he wears several layers of clothing. The cosplay set features the full Hagrid outfit, which consists of loose brown pants and maroon long sleeves polo. On top of that is a brown vest and a long brown trench coat that Hagrid usually wears. The Hagrid costume also comes with the black belt and brown boots. 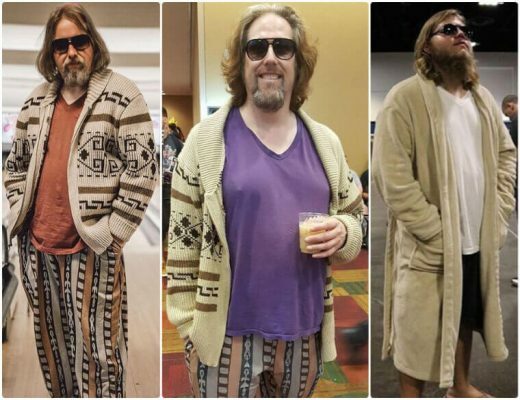 The look is completed with long brown wavy hair and a long wavy beard. The Hagrid cosplay set also comes with his wand umbrella, a prop of his dog Fang, and a small figure of Hagrid and Fang as a toy. Rubeus Hagrid is one of the popular characters of the Harry Potter series. He’s a half-giant and half human, making him taller than a lot of humans. He is a wizard, but it took a while before he got his wand back since it was snapped during his time as a student in Hogwarts. He is also good at caring and relating to magical creatures, which helped in making him the new Care of Magical Creatures teacher after Professor Kettleburn retired. Hagrid’s popularity not only stems from his appearance and his expertise but because of his kindness and loyalty to Dumbledore and Harry Potter. 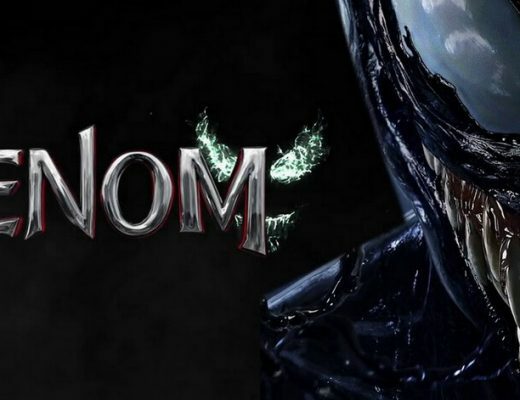 He is also a gentle giant who doesn’t want to hurt people, despite possessing incredible strength. That is why he is always an option for people who are looking to dress up as Harry Potter characters. 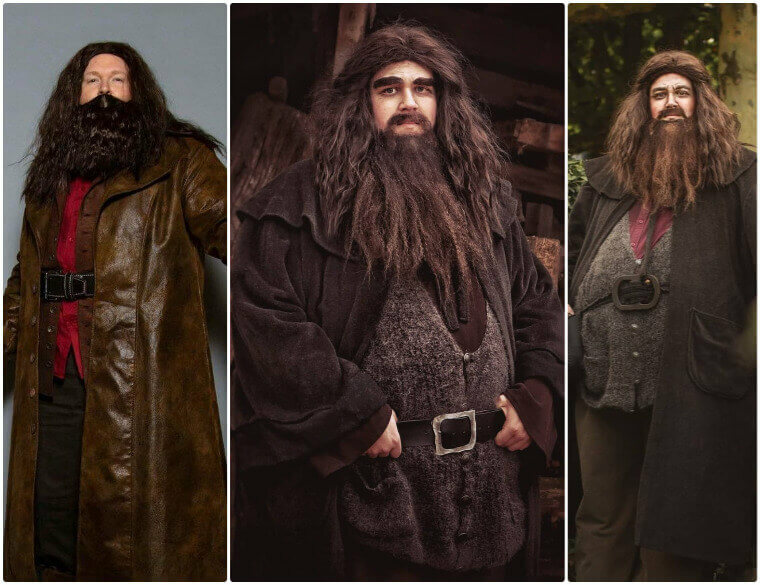 And if you look at the Hagrid cosplay photos, you can see how great to dress up as Hagrid can be.